Undoubtedly, ingrained football fans think of the year 1954 when thinking about Bern: At that time, the German football team expelled the Hungarian team unexpectedly to second place. The Germans were World Cup holders! This victory went down in sports history as the “Miracle of Bern”. This is not the only thing Bern has to offer. On the occasion of the “Gurtenfestival“, taking place on the landmark mountain Gurten since the 70s, international stars grace with their presence. Guests from the canton Bern and the environment arrive in Bern to participate in the musical festival. You should absolutely go for a walk through the old part of Bern’s city when visiting the Swiss capital. 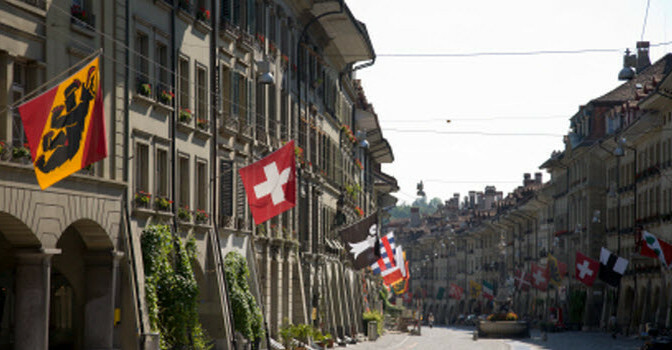 Stay at one of the numerous hotels of Bern and explore Bern very calmly. During the 80s, the old part of town was declared as a World Heritage Site by UNESCO. People looking for modern Bernese property will fail. A special jewel is an old city gate of Basel: the time bell tower of 1191. Each hour you can hear wonderful chimes (Glockenspiel) with figures. Moreover, the clock tower (Zytglogge) has an astronomic clock, among others indicating the phase of the moon and the position of the sun. High above on the top of the tower, a knight seems to keep a sharp eye on the city. The Bernese hold a famous inhabitant of the city in honour: Albert Einstein. Between 1902 and 1909, he lived in a house in Bern, when he was employed in the Swiss patent office. However, science did not come worse during that time. The young physician has drawn up more than 30 scientific articles, among them his dissertation. The Einstein house, a memorial, was established for the physician in his former residential building in Bern. Bern as the city of flowers cuts a fine figure above all in the rose garden. The beautiful view to Bern’s old part of town, moreover the colours and scents of roses and other flowers attract visitors from far away. It is just as beautiful in the botanical gardens of Bern. The green jewel has a longstanding tradition, it has been existing since already 1860. Not only visitors are pleased about the variety of species of plants – grubs as well enjoy this living space. After pupation the most beautiful butterflies eclose of the cocoons – even the Attacus Atlas, the largest butterfly of the world. The insects flutter happily around in the greenhouses. Indigenous specimens can freely fly around in the butterfly and grub garden.